Sarah Leib has been actively involved in real estate since purchasing her first home in 1999. Sarah’s entrepreneurial drive has led her to build an extensive portfolio of over a dozen single family homes in addition to ownership of apartment buildings, all of which she & her business-partner husband self-manage. Over the years, Sarah has also been responsible for many extensive renovations including design, planning and project management. Sarah’s strong background in marketing and customer service stands out in in every real estate transaction. As your trusted real estate resource, Sarah’s discreet service and attentive guidance keep her continually in touch with clients, and always on top of the market. Selling or buying a home can be stressful, but despite this, no one will work harder to place your best interests first and to ensure that your real estate experience is rewarding and pleasurable than Sarah. She is genuinely interested in her clients. 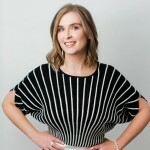 Sarah cares about helping, connecting, solving problems and even wanting to keep in touch with clients for life. You are not a transaction. Keeping you happy is her core goal. If you are relocating, Sarah can provide you with support during this transition. She provides consultation and information services to help you make informed decisions regarding your transfer particularly in selling a house or terminating a lease and in buying or renting a property in a new location. As an active community member, Sarah is passionate about the City of Edmonton. Volunteer activities and membership include: Edmonton Symphony Orchestra/Winspear Centre, Grey Cup Festival 2010, The Canadian Breast Cancer Foundation (Steering Committee for Classically Pink), The Centre for Family Literacy - Public Relations & Awareness Committee, the Royal Glenora Club, City of Edmonton – Community Services Advisory Board (two years as Vice Chair), REALTORS® Association of Edmonton - Government and Political Action Committee, RE/MAX Group Advertising Committee Member (Vice Chair, Edmonton & Area) and the Children's Miracle Network (Miracle Home Program). RE/MAX OF WESTERN CANADA - 2017 RECIPIENT - Spirit of the West Award - Presented to a Sales Professional who is always contributing beyond all others to the success and promotion of your office and the RE/MAX® brand. This individual likely sits on a committee, organizes events in your office, attends RE/MAX conferences and seminars and, in general, promotes good will.